As of today, my book is now officially published in all countries. Wow. It feels kind of surreal. A moment that I have looked forward to for so long is finally here. While writing my book’s dedication, my grandfather was alive and well. 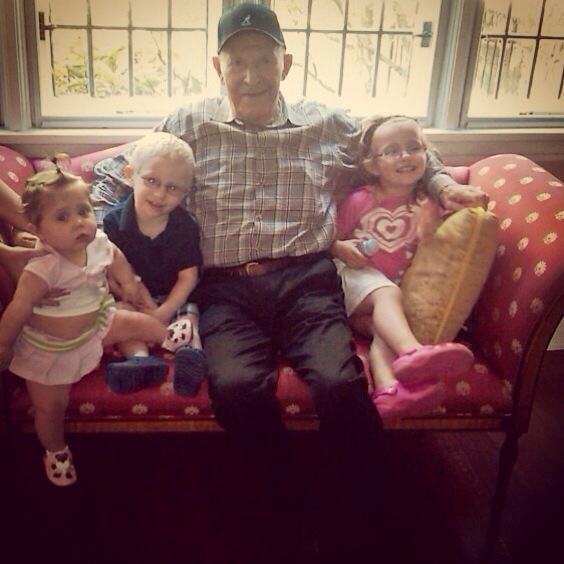 He passed away a little less than a month ago, a beloved father, grandfather, and great-grandfather. All of my life, since I wrote short stories in my childish hand about puppies and princesses, my grandfather has encouraged me to be a writer. When he found out that I was an occupational therapist, his response was: “Well, that’s great, but make sure to find time for writing.” As the years went on and I had my children, I told him: “Grandpa, I have my kids, a full-time job, I don’t really have the time!” His response was always the same: “You are a smart girl (don’t all grandparents say that?). You are meant to write. I know you’ll find a way.” And I did, in no small part because of him. Grandpa: I miss you and love you forever. I’m so sorry you are not around to see it in print. This book is for you. Next Post Vestibular Input at Sesame Place?